The MDF Latex-Free Large Adult Blood Pressure Cuff with Single Tube was designed to help self-administering users easily attain correct cuffing and arterial compression. Handcrafted for use with the MDF Palm Aneroid Sphygmomanometer or other branded manual and electronic/automatic blood pressure monitors. Master craftsmen handcraft all MDF Instruments and devices in the MDF artisan tradition and they have since 1971. Cuff: The MDF Latex-Free Large Adult Blood Pressure Cuff with Single Tube is abrasion, chemical (chlorine and peroxide)and moisture resistant. The Velcro® Cuff is constructed of high-molecular polymer 210Denier Nylon. The MDF Large Adult Blood Pressure Cuff meets the American Heart Association’s size recommendations. The artery indicator label and index range ensure proper cuffing to achieve correct arterial compression. Inflation Bag & Tube: The inflation bag is constructed of crack & stick-resistant, high-density hypoallergenic latex-free PVC. 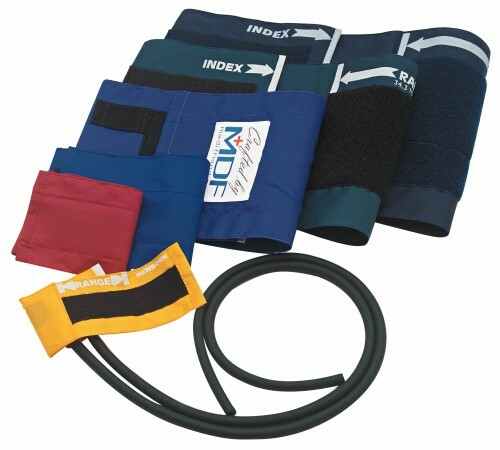 The universal Single Tube enables compatible cuff exchange with all MDF and other major branded blood pressure systems with single tube configuration. 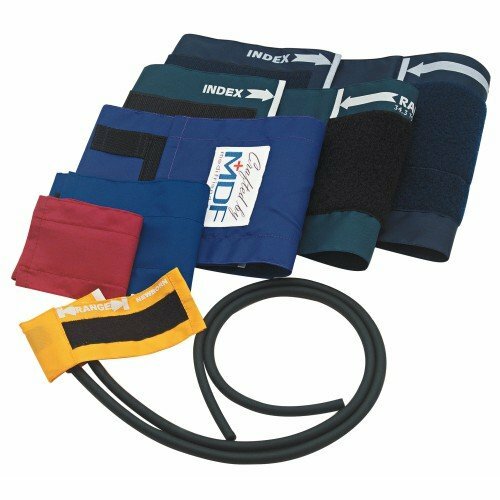 All MDF Blood Pressure Cuffs are 100% latex-free (within US & EU) to prevent any latex allergic reaction for professionals and those in their care.